Through our Sopranos Concert, Workshops/Camp and partnerships with Guest Musicians, CGC choristers have an opportunity to build skills, enhance their singing, develop confidence, expand their musical exposure, and inspire their dreams. Working with clinicians, soloist and guest artists deepens their desire to work hard and aspire to excellence. The CGC supports the arts community by bringing in these musicians, and in turn increases the musician’s exposure while benefiting our choristers. 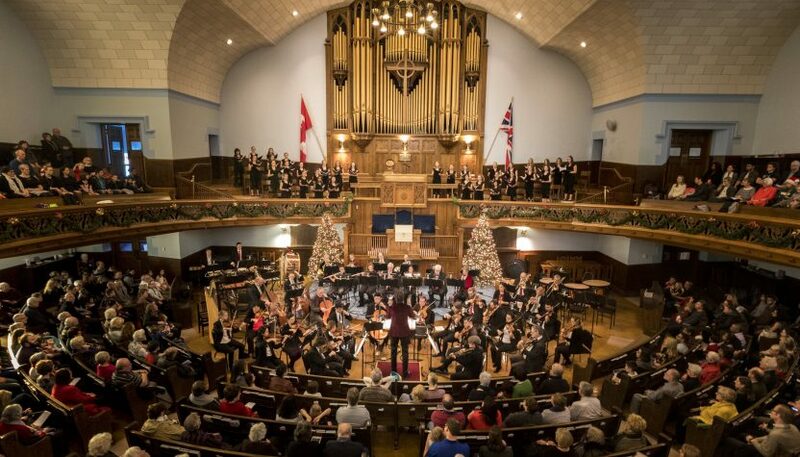 Allows the Choir to meet needs as they arise, such as: commissioning works from talented Canadian composers, recordings and professional development of artistic staff. An easy way to double your contribution is through employee giving programs. Many corporations have giving programs in which they match employee gifts to qualifying organizations. If you volunteer with us, your employer may also provide us with a grant as a way to recognize your ongoing support. Thanks for checking to see if your company offers these programs! Click here to check now. Donate shares or publicly traded securities and be exempt from paying tax on the capital gain. You also get a tax receipt for the value of the donated shares, meaning you can give today without directly affecting your pocketbook. Please call 403.686.7444 for more information. The Calgary Girls Choir is a charity that you can give to through the United Way Donor Choice Program. Choose the CGC as your preferred charity to donate through payroll deductions and online giving. This program qualifies for corporate matching. The Calgary Girls Choir is a charity that you can give to through the Benevity Community Impact Fund. Choose the CGC as your preferred charity to donate through payroll deductions and online giving. This program qualifies for corporate matching. A receipt can be issued for the fair market value of an item at the time of donation. Read more about donating to fundraising events on the CRA website. Donate a set amount monthly or a specific date annually by cheque, credit card or authorized direct withdrawal.